It is now almost fifty years since the death of Jung in 1961, and the world has both revered and reviled him, lauded him and laughed at him. 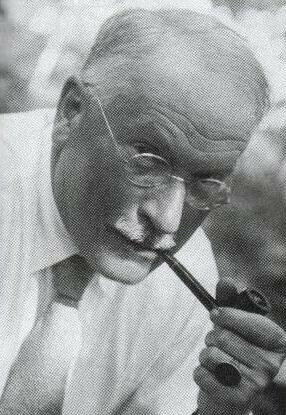 A Google search of "Jung" reveals that there are forty million sites that refer to him. Some of these sites are wonderful, some wacky, some totally wrong and some are outright slanderous towards Jung and his work. What was Jung on about, and what did he actually say?This session aims to be a "primer" of basic Jungian thought, for it will revisit the essentials of Carl Jung's contributions to the healing of the soul. Topicswill include the influences from his external life, his understanding of the psyche, andthe interplay of religion, the soul and psychology. PATRICK OLIVER works freelance in spirituality. He works fulltime in companioning others in spiritual direction, and conducts retreats and workshops around South-East Queensland and beyond. Patrick is also a sessional lecturer in spirituality at Australian Catholic University at Banyo. He received a Master of Arts in Studies in Religion from University of Queensland in 1994, and a Doctor of Philosophy from Griffith University in 1999. His books include The Track Back: The Spirit in Australian Creation, Drinking Deeply: Learning to Listen to the Song of Your Soul, Getting Out of the Way: the Essence of Spirituality put Simply, A God to Fall Into: Seven Echoes of the Great Adventure of Living in the heart of God and The Freeing of God: Revisiting the Gospels in the Second Half of Life.